Carnotaurus is back! When Disney released their Dinosaur movie years ago, the villain was a Carnotaurus and those bad boys were hot commodoties. They got pushed aside for “newer” dinosaurs and for a while only Carnegie had one. 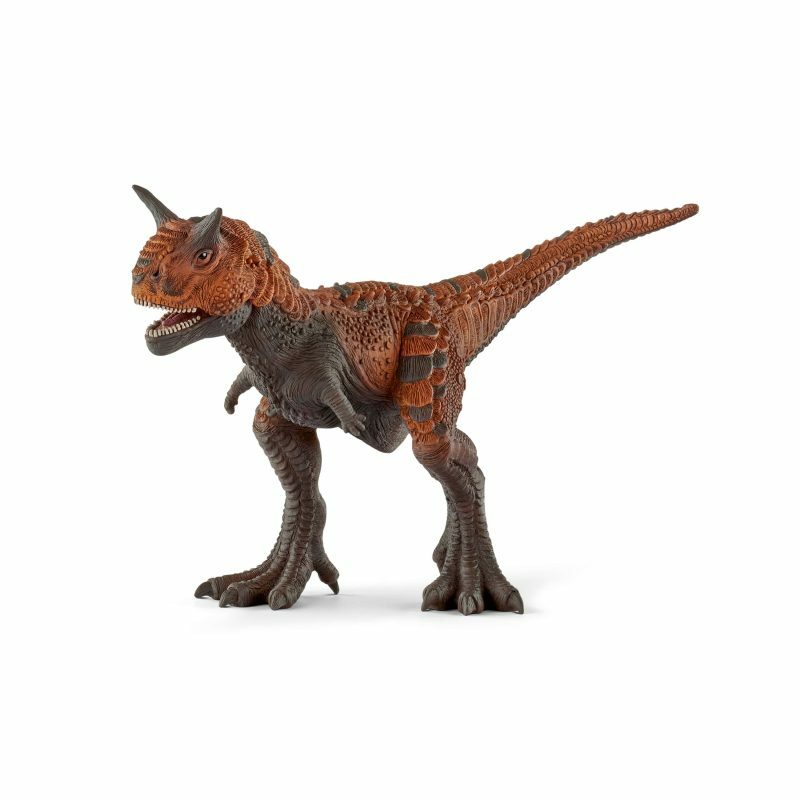 Now Schleich introduces theirs (Papo’s is coming up) and it’s very reminiscent of the Disney Carnotaurus, but not in a bad way. The mouth can be opened or shut, too, which seems to be a plus these days. Eight and a half inches long! Tags: carnotaurus, collectibles, schleich, figure, Model.